Given the ongoing upheaval in the ad world, I feel there has never been a better time to be in this advertising business. Consumers see more than 5,000 ads per day, most of which make little to no impact. To me, there is a tremendous opportunity to shift the ad strategies of yesteryear into much more effective, thoughtful marketing. But how are advertisers supposed to connect in such a cluttered world of product-driven messages, particularly when the average attention span for a human is now just 8 seconds? The Answer: Do NOT rewrite history. Tap into the stories your customers already know. Get them to remember, rather than expecting them to connect with new things. We all have certain stories that we’ve heard over and over and still love because they are wired into our DNA. Brands can tap into these stories and customize with their own unique characters and mini plot lines. It’s a proven method that works again and again to drive brand equity, connection and, yes, even sales. 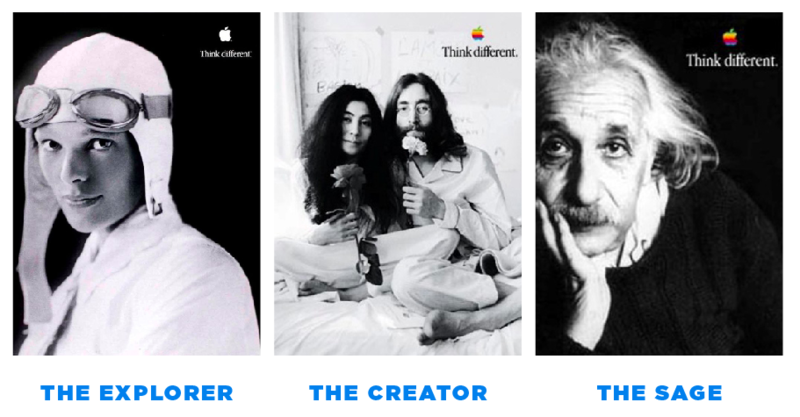 When the Think Different campaign launched in ’97, Apple aligned itself with seventeen 20th Century iconic personalities including Albert Einstein, John Lennon, Amelia Earhart and others. Each of these people represents specific archetypes that trigger a connection with our unconscious. Apple brought its tagline to life with these heroes, inspiring us all to change the world for the better (by using Apple products, of course). To connect with customers, brands need to see the world through their eyes. They need to think, act and talk like their customers and, most importantly, do so authentically and transparently. Brands can most easily do this in social by tapping into the archetypes of their customers. Archetypes represent a pattern of ideas and thinking that transcend time and cultures. According to Carl Jung there are 12 core archetypes. Each one represents its own basic human motivations, values and traits. Jung said Archetypes tap into our collective unconscious and control most of our decision-making. They set the foundation for how we see our place in the world and how we connect with other people and with brands. 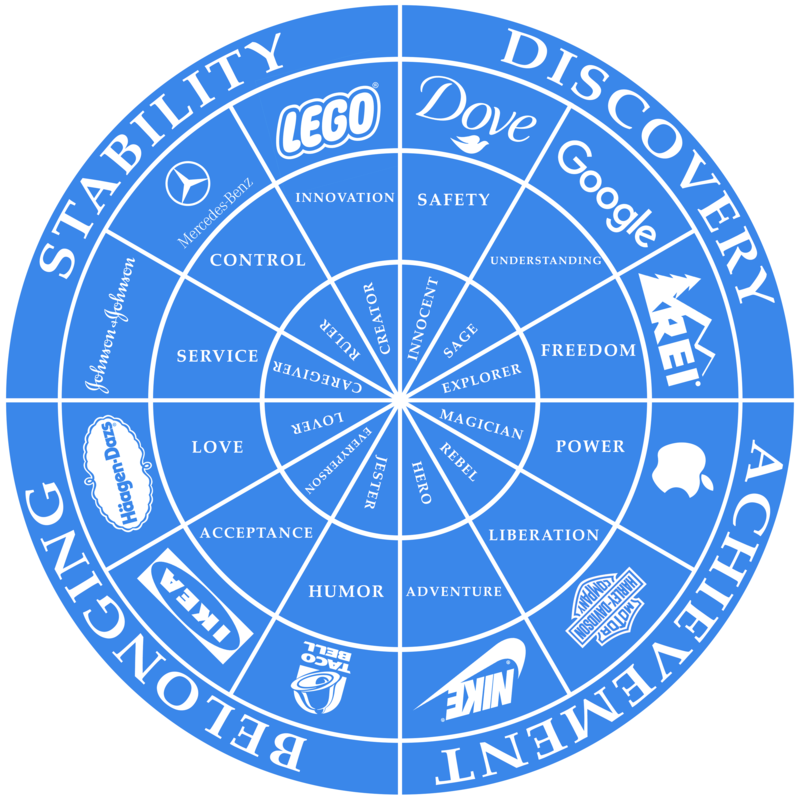 How are smart brands using Archetypes in Social Media? Click here for the full story on what other brands are doing to tell stories in social media and how they are tapping into archetypes to build true connections with their customers. I am just leaving Austin after spending five days at SXSW, and between the nightlife and all day conference sessions, it’s safe to say I need to sleep for a couple days. Despite the exhaustion, it was an amazing time, both educationally and socially. Here are my Top 10 Takeaways. Ad Blocking is listed as my first takeaway as it addresses the core issue with the advertising industry today. Most of the following highlights are based on how marketers can adapt to address the fact that consumers 1) aren’t seeing ads or 2) aren’t connecting with ads when they do see them. 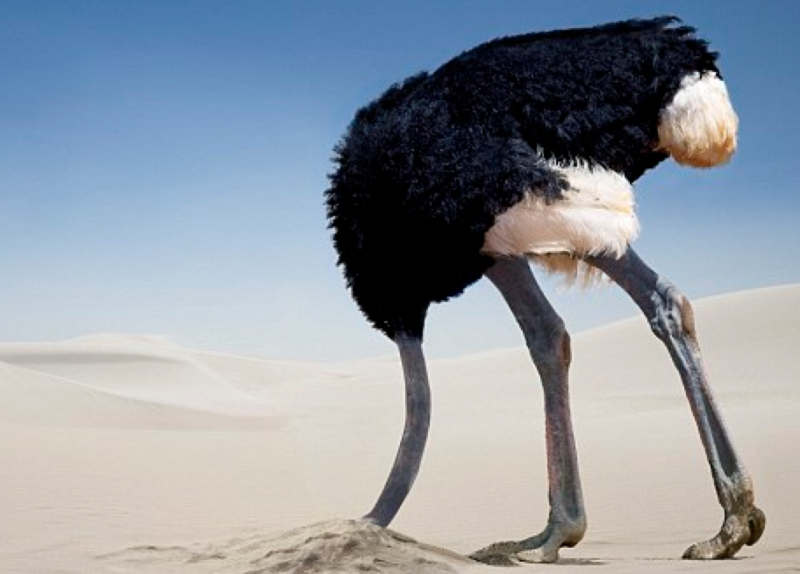 In many ways the ad industry has had its head in the sand as ad blocking has been looming on the horizon for some time. In 2015, $22 billion in revenue was affected by Ad Blocking and this year, that number will rise to $41 billion. Soon, half of all 18-24 year olds will use ad blockers. Today, 22% of all Brits already do. When consumers connect with a story, they listen and remember. During what was probably the hottest panel of the conference, J.J. Abrams told a story about another director who once showed him a 6-minute action filled reel that was jam packed with many of the latest special effects technology. While the visuals were amazing, he said, “I couldn’t connect with it because it lacked a human element. Even though we now have access to amazing technology, it’s important not to lose sight of what makes us human.” In essence, movie markers need to tell stories that allow people to truly relate with the characters and feel a deep connection to them. Brands are no different. Marketers need to tell better, more meaningful stories. But how? Social Media is one big conversation. With people listening less and less to traditional ads, brands need to be louder in social and the ones with the strongest and most consistent POV in a positive direction will gain the most attention. Brand Ambassadors are the best storytellers. People want to hear from other people and not from large companies. I listened to and participated in a discussion and Q&A with executives from NASA, The Peace Corps and U.S. Travel, all of which are big supporters of brand advocacy within social media. The key question for them is – what is the best way to get people talking positively at scale? Make them part of your culture. Connect them with one another and they will build more of a connection with your brand. The best thing a brand can do is to create a community where people have a sense of belonging and pride. For example, NASA arranges 120 events that people can attend. It brings out junior to mid level speakers who are actually doing the work, rather then high-level executives who may be a bit removed. They also arrange special tours for their advocates that are not available to the general public. This gives people a real sense of community and belonging. 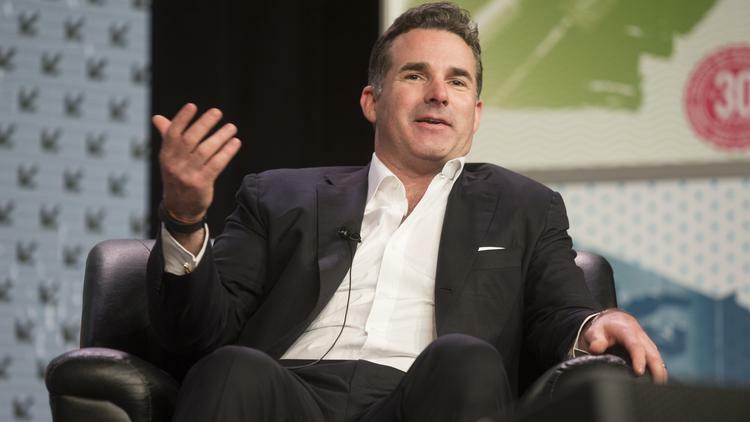 Kevin Plank, CEO and Founder of Under Armor, participated in a Q&A surrounding his incredible success story of building a company to $4 billion in annual revenue and growing. Recently, Kevin invested $710 million in app technology to help people track their health across the four quadrants of sleep, activity, fitness and nutrition. 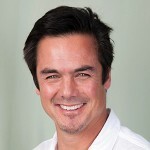 He now has 160 million users, growing at a rate of 130,000 downloads per day. Last year, users uploaded 8 billion food entries and 2 million workouts with the purpose of tracking, monitoring and optimizing their health. • Intelligent data that Under Armor can use to create products that help people to become healthier, fitter and happier. • One of the most effect CRM channels ever built, giving Under Armor a direct link to potentially hundreds of millions of users who use the company’s technology daily to improve their most valuable asset: their health. In a session called From Niche to Movement to Mainstream, Chris Barth from Contagious and Diego Figueroa from Lapiz focused on how cultures grow, using the examples of food trucks and hip-hop. There are multiple catalysts to growth – not just one tipping point – and predicting a groundbreaking cultural phenomenon is extremely difficult. 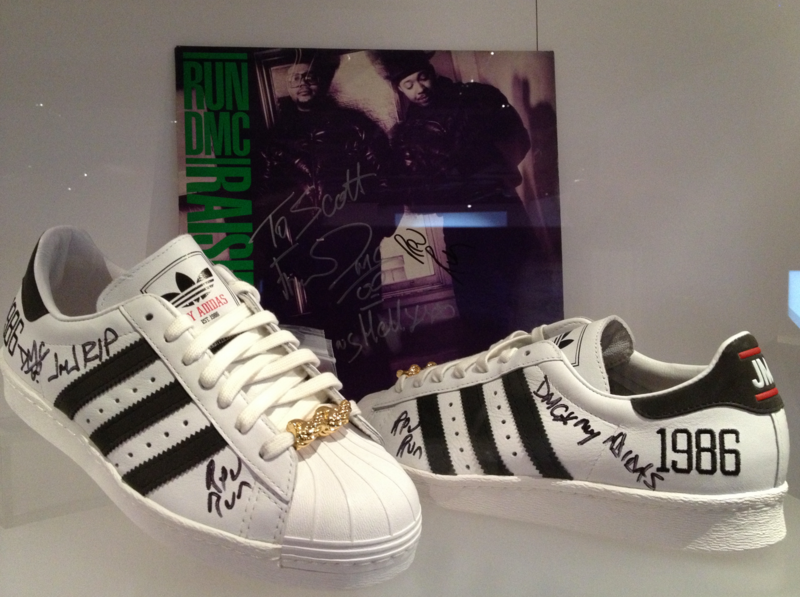 But, for those brands that do, they can help drive culture and will become an integral part of a movement, such as when Adidas supported Run DMC early on in support of hip-hop. To be successful, brands should hedge their bets and participate in 10 cultural movements to see two take hold. 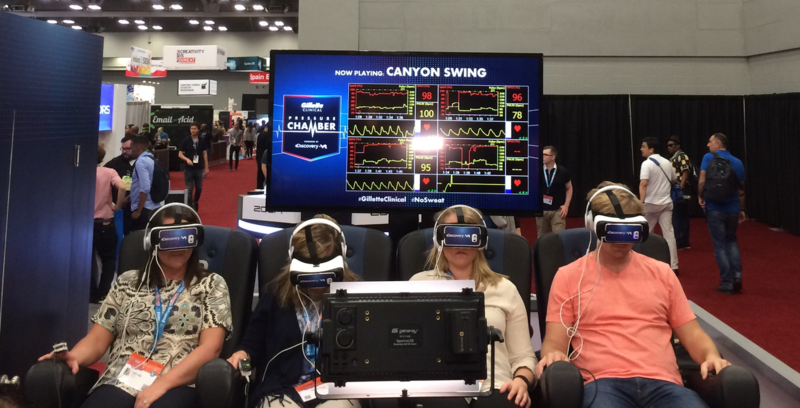 VR is clearly at its tipping point and was omnipresent at SXSW. NASA created a VR experience for its upcoming trips to Mars in 2018 and 2023. The University of Texas at Austin created a VR driving game on texting while driving, which always comes to an abrupt ending with a head on collision with a Mack Truck. Gillette and Discovery created VR stories on skateboarding, skeleton racing and slack lining. And, The New York Times hosted three discussions on the topic. If you are not doing VR, find a way to do it to now before your competitors. There is a huge consumer appetite right now and your efforts will get noticed. While the distribution of Oculus and Google Cardboard is low, Facebook 360 is clearly getting some nice distribution to reach millions of consumers. 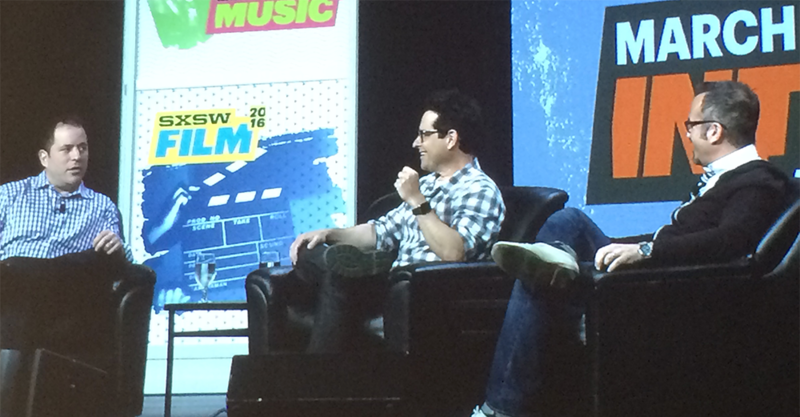 During J.J. Abrams and Andrew Jarecki’s session, Jarecki featured his new app, KnowMe, which allows users to quickly and easily create stories by stringing many videos together and adding a voice over narrative. The app just launched and my guess is that it is going to explode quickly as there is nothing out there like it. On the trade show floor I met a company by the name of Immersion that enables mobile video to have feeling. In other words, it vibrates to the tune of the commercials, movie trailer or other video. I became so immersed in the experience of watching a Mission Impossible 5 trailer that I didn’t realize that my sense of touch was included in the experience. I did recognize, however, that the feeling was much deeper than what I was used to. Adding the sense of touch to digital content will undoubtedly enhance experience and increase recall for advertisers. I had the fortune of attending most of the best parties too. My favorite was The NYT’s with its VR Experience, 10 piece band and outdoor setting. Pandora’s event had G-Eazy who put on a stellar outdoor show with his 100+ “real” fans looking in from the outside of the fences. Spotify landed 82-year old Willie Nelson who was still pickin’ well after all these years. Funny or Die brought in the popular DJ Alice in Wonderland to spin. 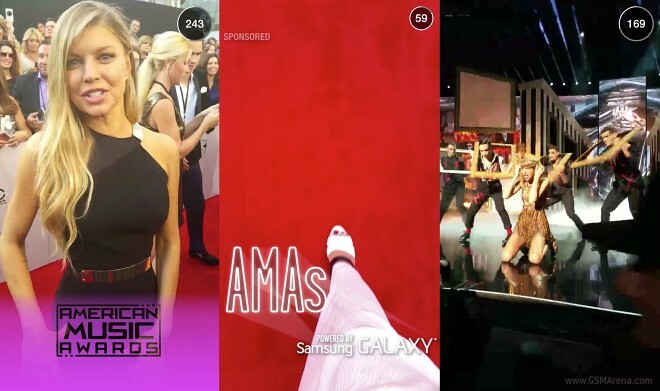 Mashable did not have any celebrity entertainers but the event was hopping to say the least. And, as always, Rainey Street was in fine form each night with an array of house bars, joined by Food Trucks galore to take care of late night munchies. There are plenty of stories to be told about the last five days. The most relevant for all of us is that advertising and marketing are changing faster than you can say SXSW. Between ad blocking, DVR, social media and people simply protesting traditional forms of advertising, sticking with the status quo is much riskier than trying new things. So dig deep to find your true brand voice, tell authentic stories in social and use ambassadors and new technology to amplify your message. Do any combination of those things and much success and opportunity lie ahead. Every :30 second Super Bowl commercial you watch this Sunday came with a price tag of five million dollars. The same amount that GoPro will grant in cash prizes this year to its fandom of content creators in the GoPro Awards. The former represents the behemoth of traditional advertising, and the latter is arguably the future. 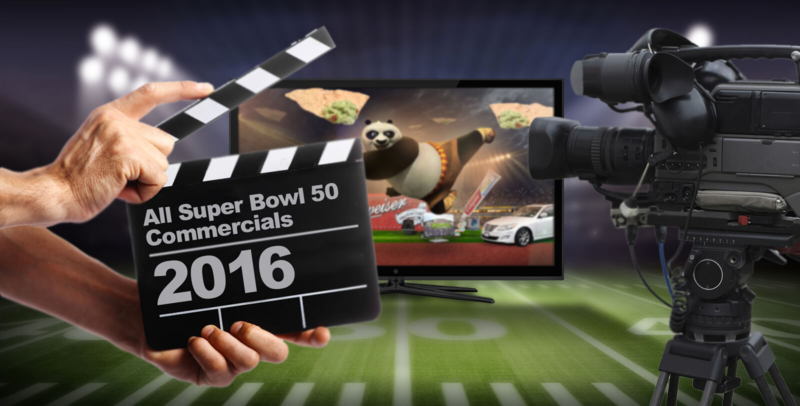 Super Bowl Ads tell :30 to :60 stories that make an immediate impression and the GoPro Awards start stories that last a lifetime. One is an expense and the other is an investment. As a marketer which one do you prefer? They reach an average of 114.4 MM people (CNN/Money Feb. 2015). People actually watch them. Imagine that!?! There is a viral effect, particularly for the good ones, which are talked about for several days before and after the game. Ads on the Super Bowl provide a nice ego boost to the marketing and C Level Suite executives. Sorry, almost left this one out but it’s so true. The ad is “one and done.” On Monday morning, the money has been spent and the ad has run. It is void of any CRM play, i.e., an email, a pixel, or a Facebook ID to keep in touch with the target audience. Many of the Super Bowl viewers are not in the target market for a high percentage of the advertisers. For example, Maserati ran its first TV ad during the 2014 Super Bowl. How many people can afford a Maserati? Marketers are entering the most competitive, most highly produced ad environment known to man, creating risk that ads will fall short of expectations and end up toward the bottom of the rankings. Now let’s look at the GoProAwards. To begin with, what are they? The GoPro Awards is a contest that embodies the very essence of GoPro’s mission, which is to empower consumers to capture and share life’s most memorable experiences. The GoPro awards serve to aggregate the world’s best User Generated GoPro Content, and will award five million dollars to the best content in multiple categories ranging from Extreme POV to Family. With the creation of these Awards, GoPro is walking the talk and investing in the people – the heroes – who buy and use their products. Go Pro has created a StoryStarting Campaign where it has developed an idea that seeds stories and places its brand in the center. GoPro puts its customers and itself in the center of the conversation between friends, family, and people interested in similar lines of content. This program creates a new community of people that can connect and discuss how they use their GoPro products. The content is largely self-sustaining because it is crowdsourced and will have a tremendous level of depth and growth. The site satisfies the ultimate rule for Growth Hacking by developing a marketing program that inspires and incentivizes consumers to use and promote a product in the way it was intended. By developing its own destination site, GoPro now has created the beginnings of a massive CRM database of e-mails, cookies, product usage, and behavioral patterns. The site is anything but one and done. It is an ongoing, breathing marketing asset that should increase significantly in value. Think YouTube for GoPro videos. 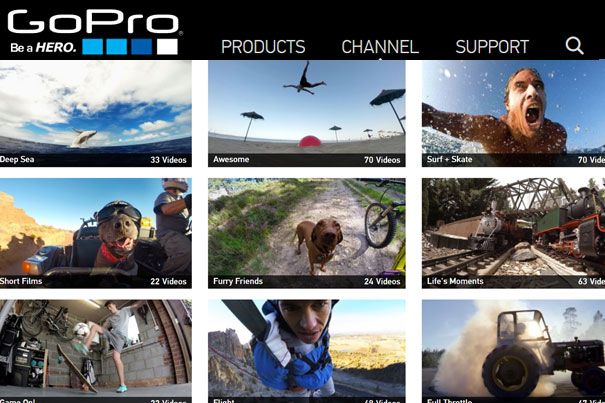 The GoPro Awards is built into GoPro’s site, allowing visitors to simply point, click, explore and, of course, buy GoPro products. The website requires ongoing maintenance. The traffic builds over time and is not all at once. Five million dollars is a lot of money. The difference is that GoPro is giving the money to its customers rather than to a TV Network. Which do I think is better? Having worked in TV for 5 years and now in digital for 20, I have an appreciation for the value of both; however, it must be quite obvious that I prefer the story starting aspects of the GoPro Awards, and the potential it represents for the industry as a whole. What type of experience can we build that inspires our customers to use our products more and become advocates for our brand? Today’s best marketing strategies answer this question and create experiences that move their customers and drive culture. The brand becomes an integral part of the customer’s experience as opposed to simply being the sponsor. Spending money to lease a spot in a piece of content – radio, print or TV – will never be as powerful as being the originator of an experience that allows your customers to thrive and carry your story further. Next Up: In my next blog learn how any brand can be a story starter. Want more tips and tricks for how to dominate social this year with Data, Creative and Amplification? Download our 2016 Social Media Survival Guide. 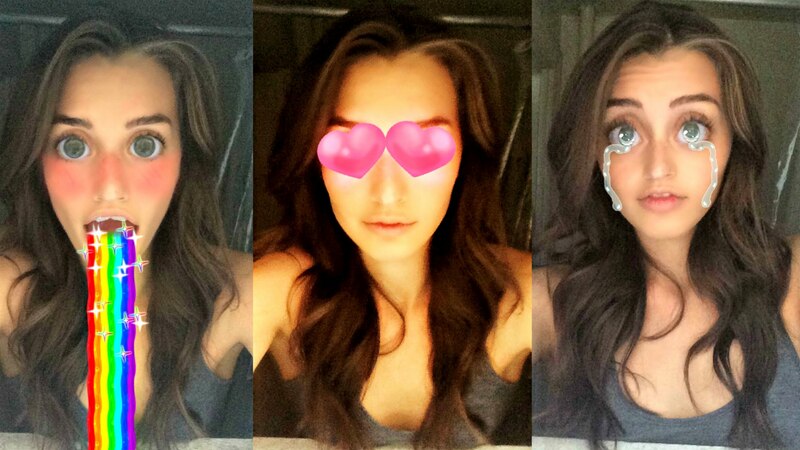 How powerful is Selfie Marketing and how do you measure it? In today’s cluttered world of advertising, brands need to build ongoing connections with consumers where they engage in branded content. Paid media is not as effective as it once was. From Pope Francis to Darth Vader, from Obama to Kim Kardashian, everyone seems to be taking selfies. Ellen DeGeneres tallied 33 million views and 2.4 million retweets for her Oscar Selfie. Oxford Dictionaries even announced “Selfie” as the Word of Year in 2013. 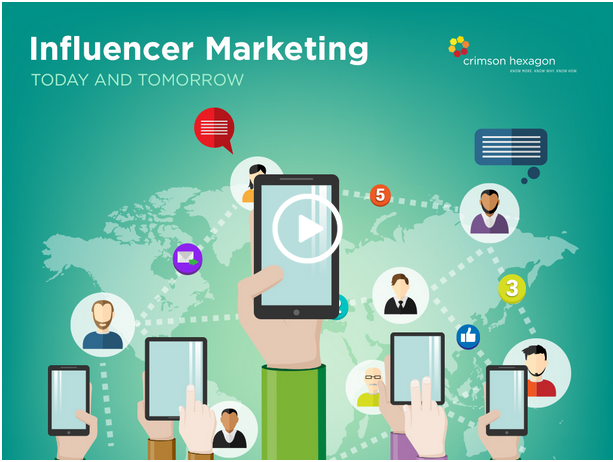 Click below to tune into this Social CEO Webinar on Influencer Marketing where our CEO, John Bohan, is interviewed by Stephanie Newby, the CEO of Crimson Hexagon. Last week I had the opportunity to go to the iMedia e-Commerce Summit in Salt Lake City.